Today I've got two book reviews for you plus a great featured store. Let's get started! I was given this book to review by the author after seeking some guidance to planning the Texas trip I thought I'd be going on. I've also been writing a series on travel planning that started around the same time, which you can find here. Texas is an amazing place that as Rookstool says, has a lot more diversity that people often assume beyond just cowboys. I loved my last visit as I helped my friend Holly move there a couple years back, and am sad I won't be able to make it there for her wedding. 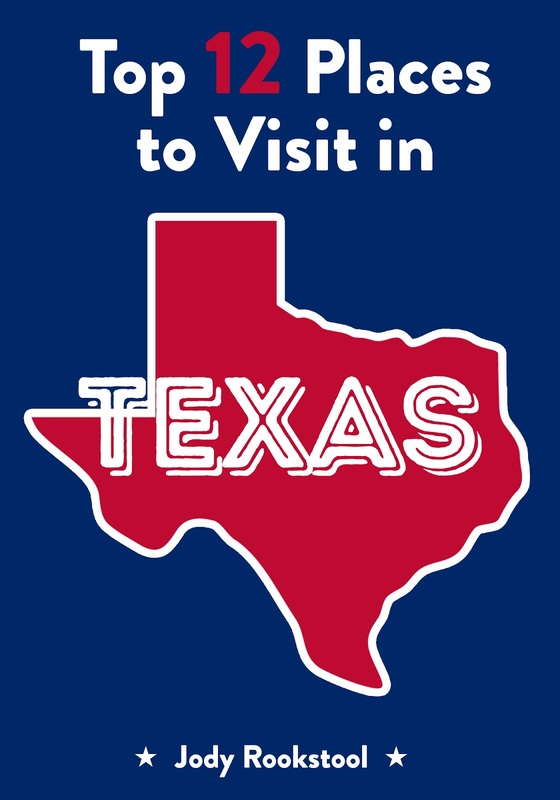 But, I was excited about all the possibilities the state could offer for a visit. Rookstool's book highlights some of the best, and while the book is small she gives a great overview of both big name destinations such us the Space Center in Houston to less well known gems like Enchanted Rock. I'm just sorry I didn't get to explore some of them. 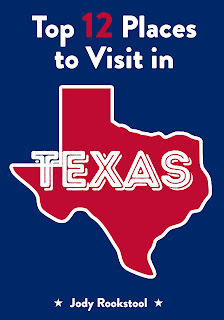 But if you're planning a trip to Texas and want to choose a couple great spots this little guide is a great way to pick a few out. You can find it here and visit the author's site here. 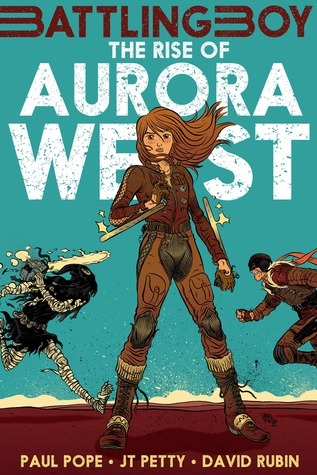 The Rise of Aurora West◊ by Paul Pope, JT Petty, and David Rubin is a great read that can be approached by kids or adults easily. It's a graphic novel that follows a coming of age type story, and is a prequel to Battling Boy, though you needn't read them in order. This is the first book in the series I've picked up, and I just happened to spot it at my local comic books store. 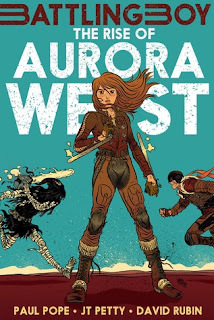 In some ways Aurora's family reminds me of Jonny Quest and the Venture brothers, which I love. Finally we get a girl adventurer in a similar situation! She helps her dad fight monsters each night, and is tutored in fighting each day. She begins to find clues that explain some parts of her past she wondered about for years, and as events unfold she takes initiative to investigating exactly what happened in her past. This is a great little read, I just wish it had color. The art is great though, and I look forward to reading other books in the series. 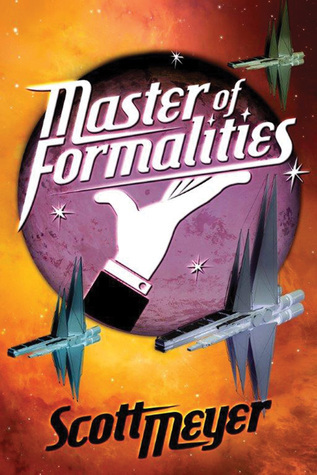 The Master of Formalities◊ by Scott Meyer is a book that came up in my Amazon recommendations a while back and intrigued me. At the time I hadn't yet read any of Meyer's other books (which you can find some of my reviews of here and here) and I just thought the premise sounded good. About a week ago it went on sale as a Kindle daily deal and I snapped it up. I feel like this is where Meyer shines, sure his other books were good, but this one is great. The characters have of depth, and there are many fantastic females in the cast. The premise involves a large cast in the home of the royal family of the planet Apios. They're at war with the Hahn of the Hahn Homeworld and through each step of the way have their master of formalities, Wollard, to smooth everything and keep them from losing face. He advises them in every situation and when things change in the house he begins losing the respect of the royal family as things don't go as smoothly as usual. Who knew a grumpy, adopted Hahn teenager would be such a problem? But even Wollard isn't perfect, and there are surprises in store for him as he performs his job as the master of formalities. Now it's time for a bit of a review. You may remember the guest post from last week (Dean Winchester - A Pumpkin Pie Kinda Guy), which was penned Geekyloot's owner Christina Clawson. Her site is host to a blog, but it's also a great deal destination site too! Each week the site has 3 deals that are only good for a week, similar to sites like Groupon and Pick Your Plum. The great part about Geekyloot is it has all kinds of fandom friendly items that are picked with female geeks in mind! Geekyloot was kind enough to send me a sampler pack with some of the recent deals they've had when I made my first order from them, so I can share it with you all. Fun stuff, there's the two Baymax keychains from Disney's Big Hero 6, a Hobbit Locket(!!!! ), a Marauder's Map (Harry Potter) necklace, a Mockingjay necklace (Hunger games), plus some Simpsons inspired socks. Bryan was happy to receive the white Baymax keychain, and honestly who doesn't love Baymax! The Hobbit locket was what made me order from them, I love things that open up have secret compartments and such. Here's a closer look at the necklaces fronts, and below a second shot of the ones with more detail to them. They're all costume quality, which is great for everyday wear and cosplay on a budget. The socks are super comfy, and though I've personally never been a huge fan of the Simpsons I loooove donuts! And I collect socks too! I put them on to take a picture while we had Scarlet out for exercise and she came over and starting investigating them and finally marking them. (Rabbits mark items similarly to cats by rubbing their face against them.) So these socks have the bunny seal of approval. A big thanks goes out to Geekyloot for providing me with some awesome items to review. If you like these go check out the store at www.geekyloot.com/store! This week they've got the Simpsons socks, a beautiful little Game of Thrones Pin, and a Black Widow necklace. But hurry, new items will be up Saturday! Thanks for reading, I'll see you all again soon. Thank you! It was a pleasure, your items are so much fun!